One thing that you need to do when changing your diet is change what you eat for snacks. Traveling takes more preparation because you can't just grab something wherever you are. 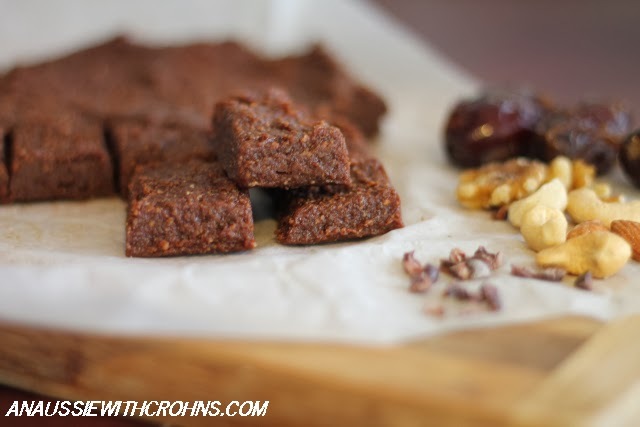 Anyway, our local Coles supermarket has just started stocking a range of Paleo friendly fruit and nut bars. Fantastic if you're traveling, have hungry kids or just want a change. 'I wonder if I could make those...?' :) So I'm giving some of them a try. Aussies, have you heard about the online store, www.mypaleo.com.au? I ordered some of their coconut, cacao butter and dried fruit recently (no preservatives) and they put a flier for 'Paleo Bars' in with my order. 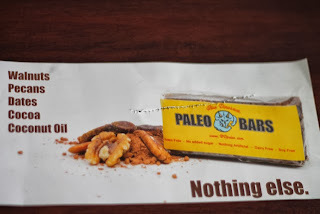 Now, I haven't tried these Paleo Bars, but since they listed the ingredients I thought I'd give them a whirl. After a couple of tries, this is what I came up with. 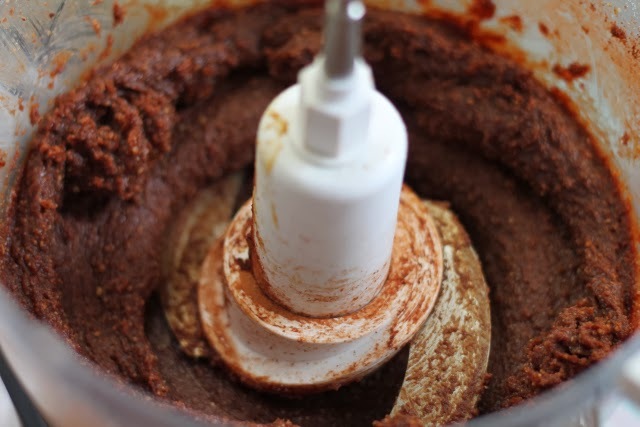 Process nuts in food processor until very fine. 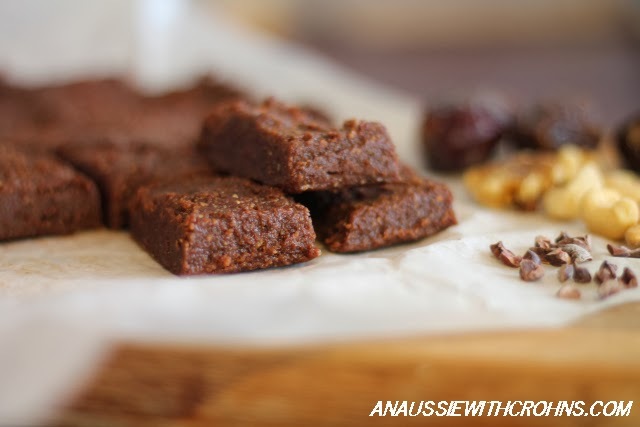 If using dried dates, put them in a microwave bowl with 1/2 cup hot water and microwave for 3 minutes. Drain off the excess water before adding to the nuts. and add them to the processor. 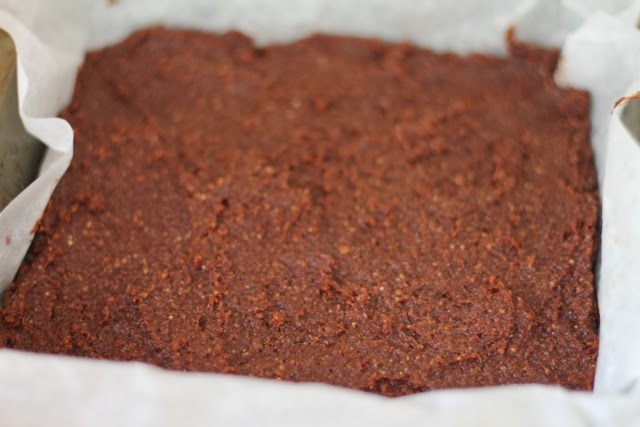 Also add the cacao powder and coconut oil. Process until it forms a sticky, fudgey dough. 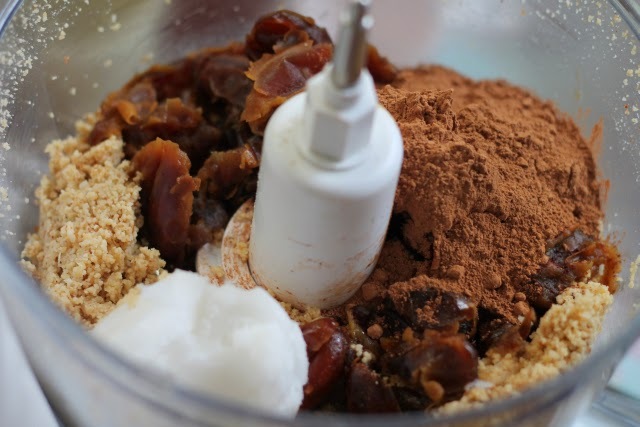 (If using medjool dates, add a Tablespoon of water if needed. When set, cut into pieces and enjoy. Can't wait to try these......still enjoying the Tahini Cookies! Yum! I am going to make these right now! This is a great recipe! I made them into balls and rolled them in coconut.